* MPGe: Miles per gallon gasoline equivalent (MPGe) is a measure of the average distance traveled per unit of energy consumed. Based on EPA formula of 33.7 kW/hour equal to one gallon of gasoline energy. 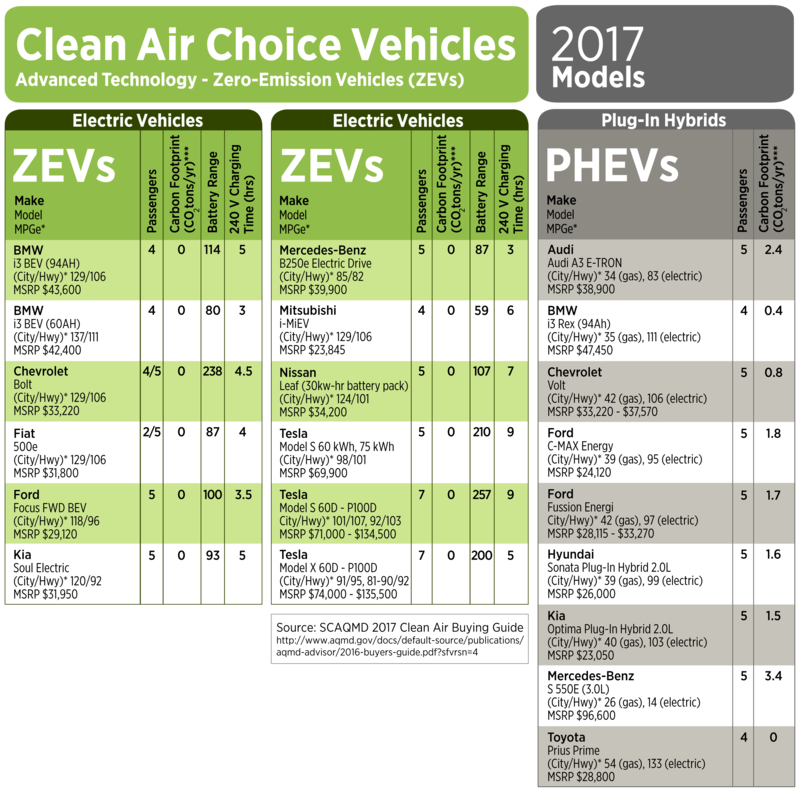 Approximate MPG or MPGe based on 2016 model year data. MSRP – Manufacturer’s Suggested Retail Price, which generally excludes tax, title, license, dealer fees, destination freight charge and optional equipment.